A celebration of life for Barbara Joy Thomas, 80, of Aberdeen, SD will begin at 4:00pm, Thursday, January 24, 2019 at Spitzer-Miller Fellowship Hall. A Remembrance Service will be held at 5:00pm with food and fellowship to follow at 6:00pm. Burial at Fairview Cemetery, Northville, SD, at a later date. 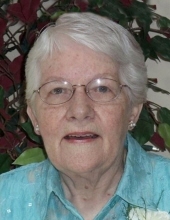 Barb died Monday, January 21, 2019 at Bethesda Home of Aberdeen. The family prefers memorials to Avera at Home in Aberdeen. Barbara Joy Thennis was born on January 20, 1939 to Arliss and Deloris (Knutson) Thennis in Britton, SD. She grew up and attended school in Langford, SD. She worked at Taylor Laundry, Northwestern Bell, and St. Lukes Hospital. On June 22, 1957 Barbara married James Thomas in Aberdeen, SD. This is where they made their home and Barbara was a stay at home mom. She was an incredible cook and made the best Special-K bars. Barbara enjoyed attending her children’s sports games, helping them with homework and joining them for family fun night at the Moose. Barbara enjoyed planning and attending family gatherings. She loved word scramble, cross-word puzzles, board games, coloring, bingo, and listening to country music. Grateful for having shared Barbara’s life are her children: Kim (Greg) Kirnan, Aberdeen, Kevin Thomas, Aberdeen, Rick Thomas, Jacksonville, FL, and Brian (Adriana) Thomas, Bartlett, IL; grandchildren: John (Casey) Kirnan, Jennifer (Travis) Feltman, Andrew Thomas, Tabitha Thomas, Raquelle Maa, and Zachary Maa; great-grandchildren: Caden, Katie, Abby, Nick, Riley, and Hudson; and siblings: Jim (Jan) Thennis, Judy (Jim) Dolney, and Shirley (Mike) Wolf. Preceding Barbara in death are her husband James Thomas; parents, Arliss and Deloris Thennis; siblings: JoAnne Banik and Linda Hart. To send flowers or a remembrance gift to the family of Barbara Joy Thomas, please visit our Tribute Store. "Email Address" would like to share the life celebration of Barbara Joy Thomas. Click on the "link" to go to share a favorite memory or leave a condolence message for the family.